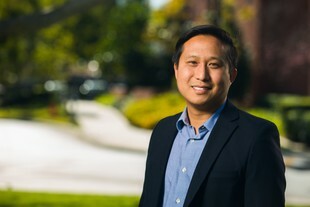 Rosemead School of Psychology professor David Wang was awarded a $242,297 grant by the John Templeton Foundation to develop and pilot test an assessment instrument that measures spiritual and character formation among seminary students during the seminary years. The tool would make it possible to measure and observe changes in virtue, character strengths, and spirituality over time. The grant is the second Wang has received for this project — the first was a $217,000 planning grant from the foundation to research the relationship between spiritual development and character development. The tool to be developed— a seminarian character and spiritual development assessment instrument — will assist seminaries accredited by The Association of Theological Schools (ATS) throughout North America to more accurately and robustly assess student and program outcomes relevant to character and spiritual formation. “What we’re developing is super novel, there’s nothing like it that exists,” said Wang. Currently, the impact of a seminary education on the spiritual, character, and virtue of seminary graduates, from an empirical standpoint, is largely unknown. According to Wang, in recent decades, there has been a call for theological education to focus more deliberately on aspects of character development that transcends academic preparation. Notably, ATS began incorporating formation requirements into its degree program standards. However, despite the recent proliferation of spiritual and character formation training within seminary programs, there are no widely agreed upon exemplary models or best practices to help shape the design, implementation, and assessment of such training. “If you think about the reach and significance of our project, there is great potential for real world impact because character and spiritual formation is the very heart of spiritual leadership. Our project has been met with great enthusiasm wherever we have gone because its aims are so deeply aligned with the mission of seminaries.” said Wang. The assessment tool Wang will be developing could help answer questions like, “To what degree do seminary students embody virtues such as humility and gratitude and how do these virtues evolve over the course of their seminary years?” The heart of the project is to further current understanding of the spiritual and character or virtue development of seminary students and to better understand the relationship between different indicators of spiritual development and character/virtue development. This step in the project will allow Wang and his team to develop and pilot test the tool in 3-4 locations. Following the pilot project, a full 3-year project proposal will follow where the newly-developed tool will be launched in 8-10 seminaries throughout North America. The data that will be collected will help establish a set of empirically-supported best practices for character/spiritual development among seminary students. Throughout the planning grant, which concluded in August 2017, Wang and co-investigators convened to discuss various seminaries’ approach to spiritual and character formation and their theory of change concerning how people’s character and spiritual life are formed. Co-investigators included Rosemead professors of psychology Peter Hill and Steve Porter, George Fox professor of psychology Mark McMinn, Boston University professor of psychology Steven Sandage, Fuller School of Psychology professor Pamela King, George W. Truett Theological Seminary professor Angela Reed, and leadership from several additional seminaries, including:Ambrose Seminary, Fuller Theological Seminary, George W. Truett Theological Seminary (Baylor University), Pentecostal Theological Seminary, Princeton Theological Seminary, Southern Baptist Theological Seminary, Trinity Evangelical Divinity School and Talbot School of Theology. The project team has also received consultation from the Association of Theological Schools senior director of accreditation and institutional evaluation, Lester Ruiz. Written by Jenna Loumagne, manager of media relations. For more information, contact Jenna Loumagne at (562) 777-4061 or jenna.loumagne@biola.edu.